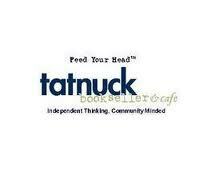 I’ll be participating in a panel of writers at Bay Path University’s 16th Writers’ Day on Sunday, October 15. 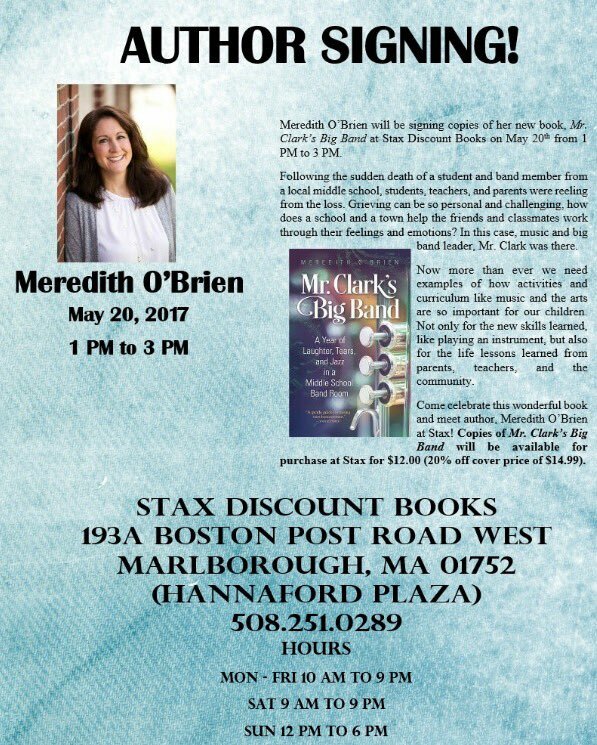 Come hear me talk about how events in my town of Southborough, Mass. 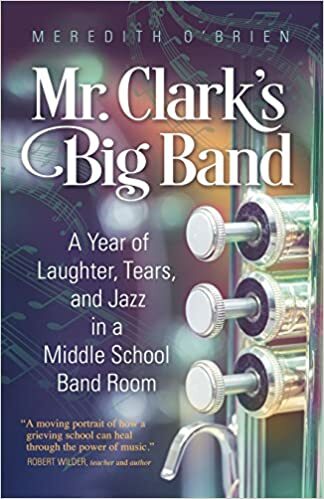 inspired me to write Mr. Clark’s Big Band, and how I wove events that unfolded during the time I shadowed the middle school jazz band into the narrative. During the 2012-2013 school year in which the book is set, outside events such as the Newtown, Conn. elementary school shooting and the Boston Marathon bombing had direct impact on the students at the Trottier Middle School as well as on their band director, Jamie Clark. Appearing on my panel, which is slated for 4:10 p.m., are fellow authors Joan Dempsey and Ellen Meeropol. Stop on by. 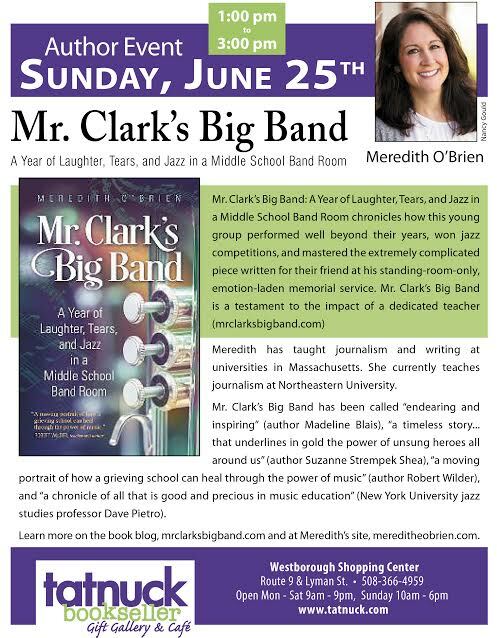 I’d love to see you and chat about Mr. Clark’s Big Band.